The following are just some of the 101 recipes featured in the new Fixate cookbook! 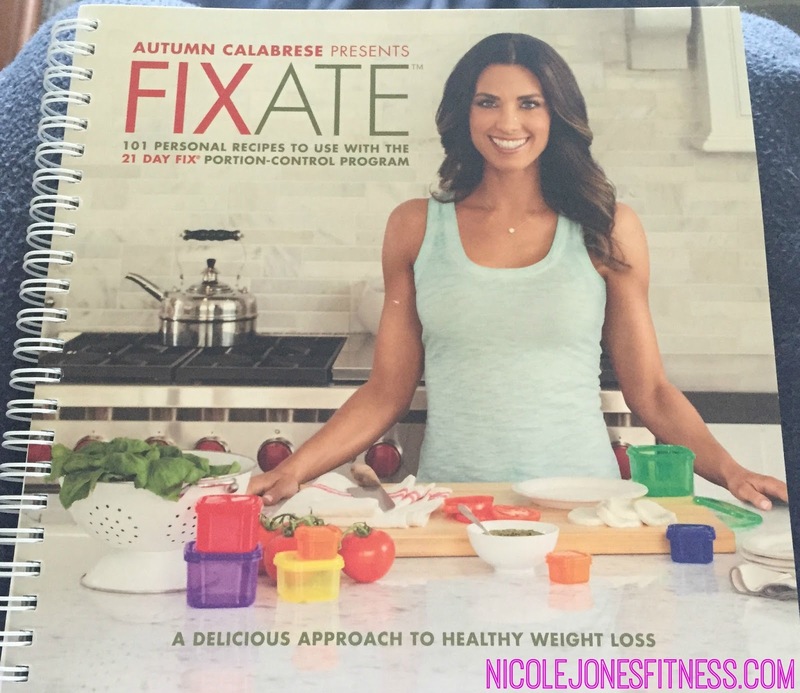 Want to get your own copy of the Fixate? CLICK HERE! 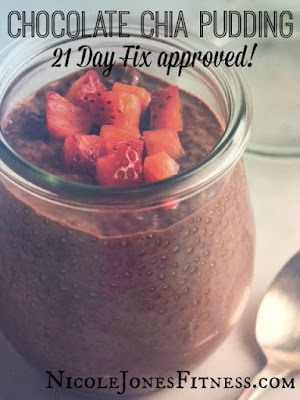 Want to get the complete 21 Day Fix kit? CLICK HERE! is melted and tomatoes are softened. Directions: 1. Combine pears and cinnamon in a medium bow, mix well and set aside. 3. Place almond milk, eggs, extract, and protein powder in bleeder, blend until smooth. 4. Add almond flour mixture to almond milk mixture, mix well. 5. Heat medium nonstick skillet, lightly coated in spray, over medium-low heat. with spatula, cook for an additional 90 seconds. 7. Continue with remaining batter. 8. Serve topped evenly with pear and cinnamon mixture. in large bowl. Whisk for 2 minutes or until cocoa powder is blended well. 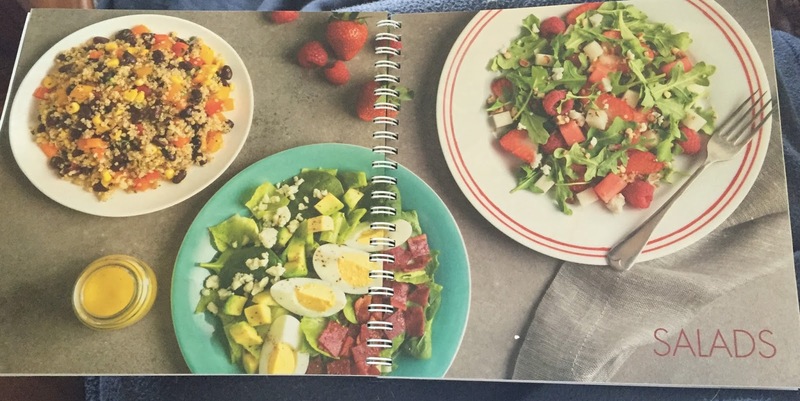 Sometimes, the simplest salads are the best. 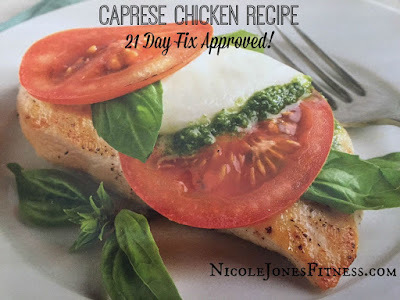 Like this hearty 21 Day Fix recipe that has only 5 ingredients and can be made in minutes. 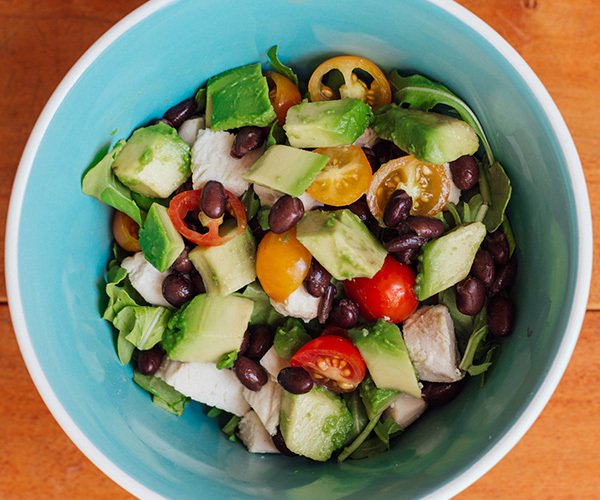 Chicken and black beans add protein and fiber, and avocado adds healthy fats to make it a satisfying meal for lunch or dinner. Get the recipe. 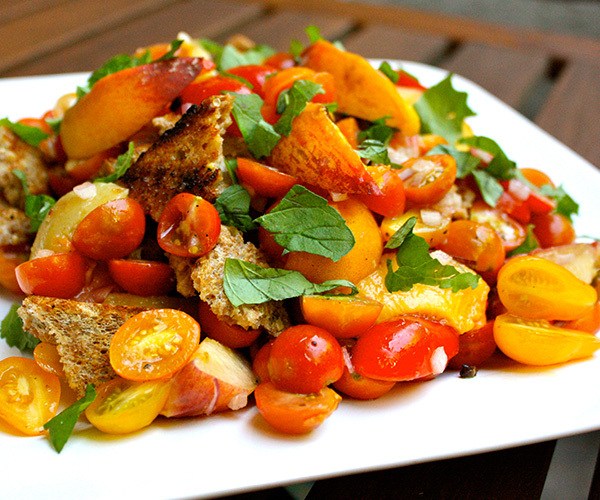 Panzanella is an Italian salad made with crisp, day-old bread that soaks up the juices of tomatoes and dressing. 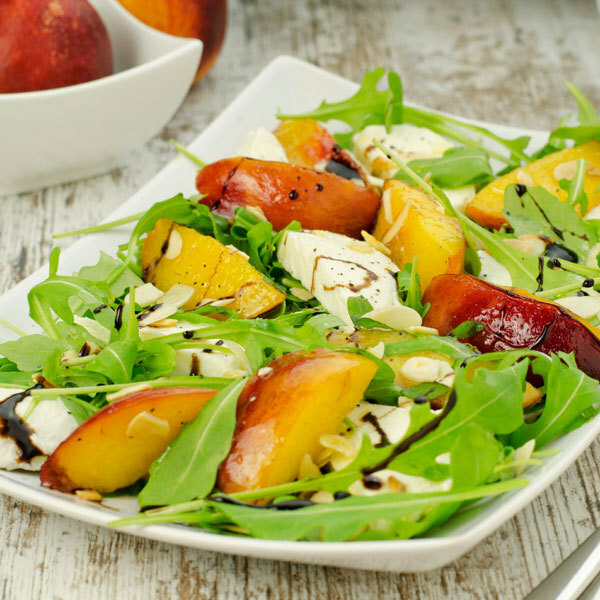 Our version gets luscious sweetness from grilled peaches, which are beautifully ripe right now. 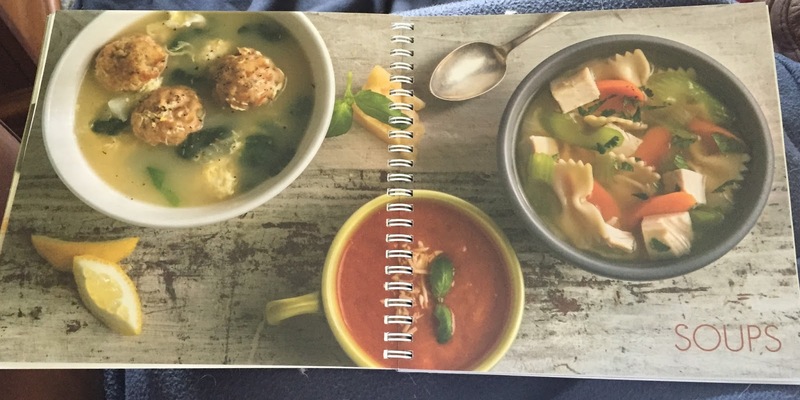 Get the recipe. 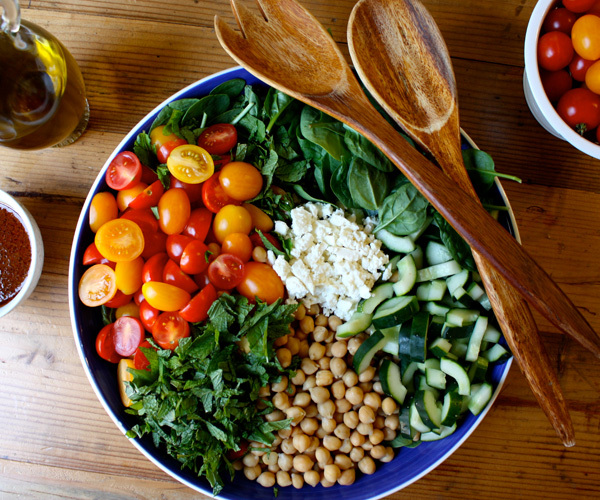 This colorful salad is a show-stopper. 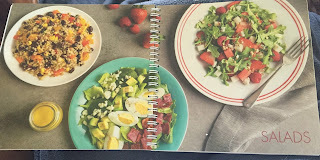 Make it for your next potluck or picnic, or amaze your family for dinner any night of the week. Quinoa and chickpeas give it a hearty serving of protein, but the stars of the recipe are the piquant paprika dressing and the full cup of torn mint leaves. 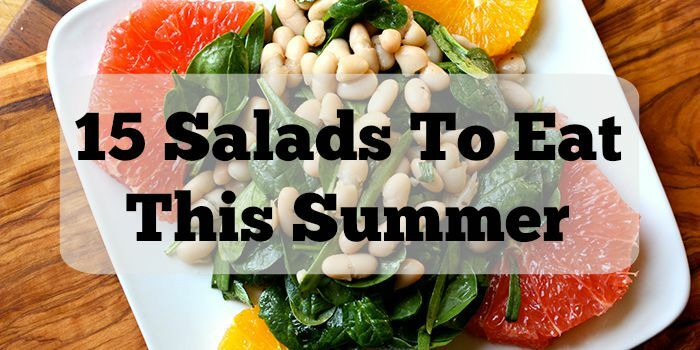 Once you taste this salad, you’ll want to add mint to all of your salads. Get the recipe. 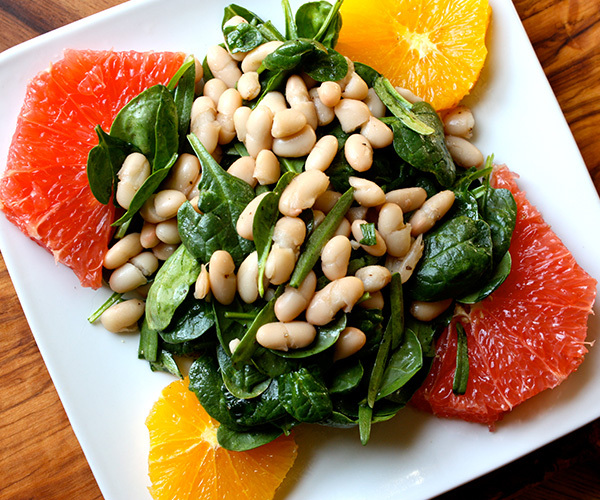 Brightly flavored citrus and creamy white beans make a perfect salad for any season. This recipe is light and refreshing for summer, and the orange and grapefruit slices are a real pick-me-up. It makes a great lunch to pack for work. 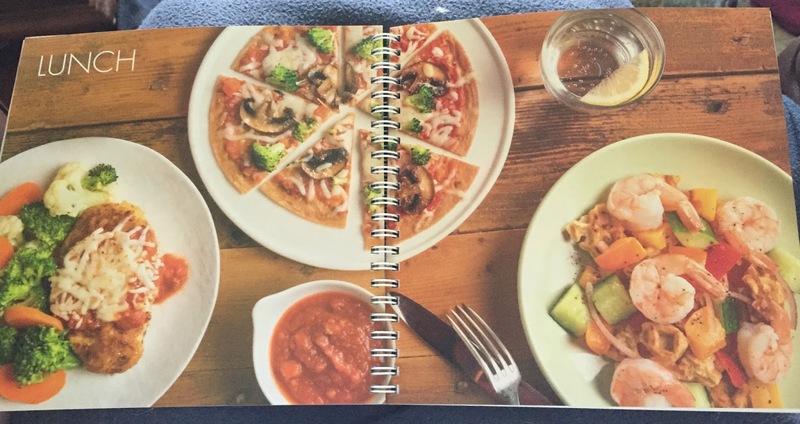 Get the recipe. 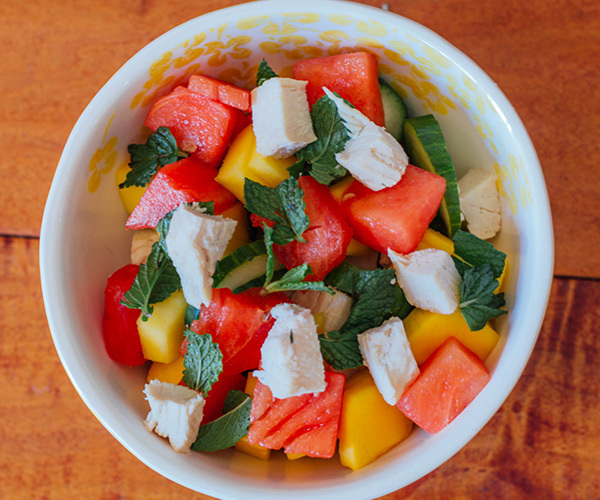 Cucumber, watermelon, and mango make this summer salad refreshing and colorful, and chicken adds hearty protein to make it a satisfying meal. Top with as much fresh mint as you like! 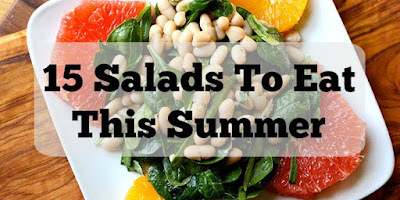 It’s a great make-ahead salad for a picnic or to pack for lunch. Get the recipe. 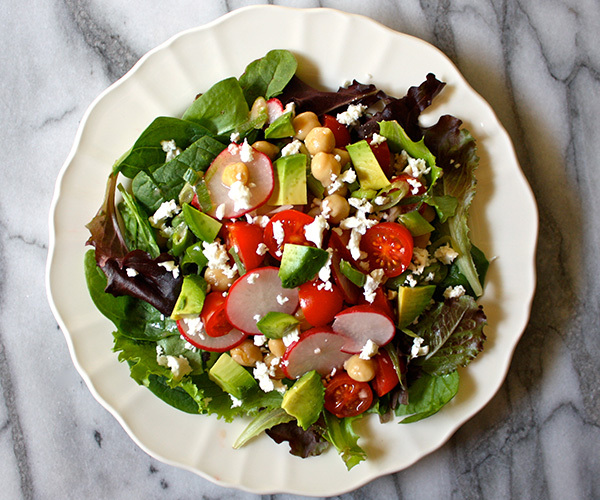 This salad of crunchy radishes, juicy cherry tomatoes, mild green onions, avocado, chickpeas, and feta is delicious with or without lettuce. For a different spin, I combined my leftover bean mixture with a can of tuna…and it was a revelation. Get the recipe. 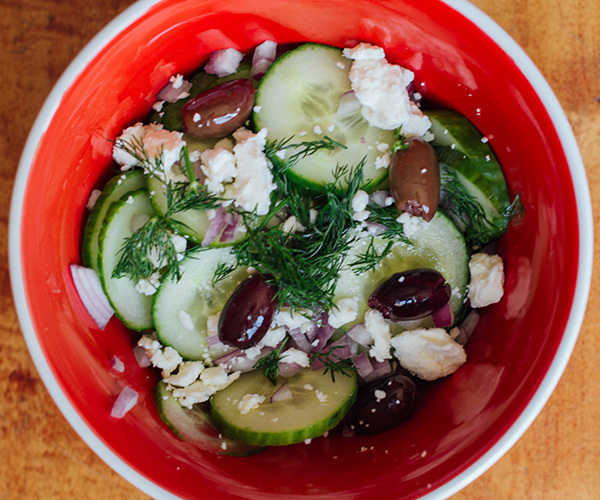 Cucumber and onion go perfectly with salty feta and kalamata olives. Chopped fresh dill is a flavorful finishing touch. Get the recipe. 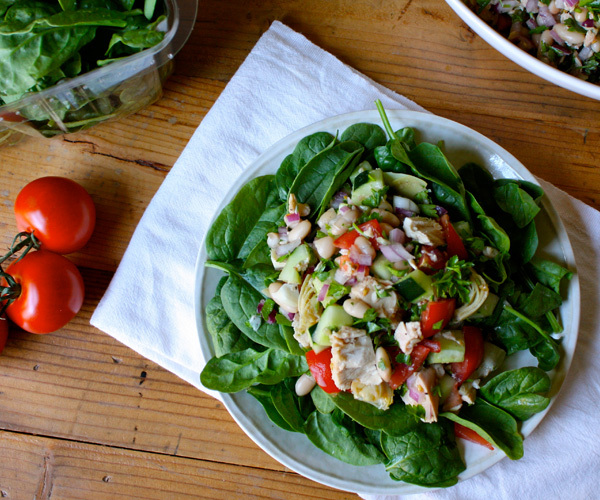 Jicama makes this salad crunchy and really filling! Soaking the matchstick-sized pieces of jicama in a lime juice and red wine vinegar dressing infuses it with lots of extra flavor. Orange wedges make it bright and refreshing. Get the recipe. This delicious tuna and white bean salad with tomatoes and artichoke hearts makes a hearty lunch or dinner thanks to 24 g of protein and 8 g of fiber. Get the recipe. 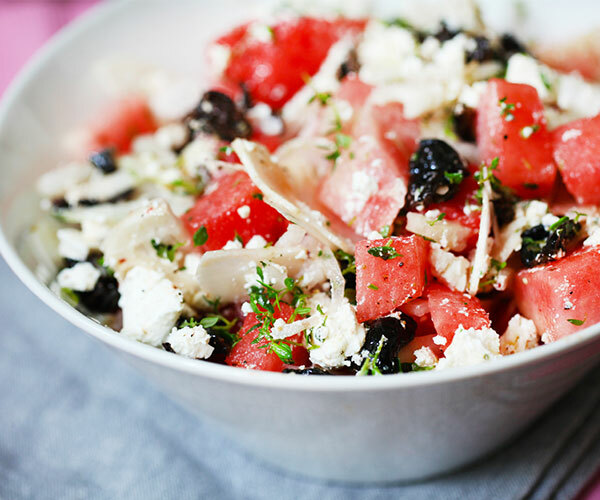 Here is a new take on the popular watermelon and feta salad. Our recipe adds salty kalamata olives and fresh herbs for a surprisingly delicious Mediterranean twist. Get the recipe. 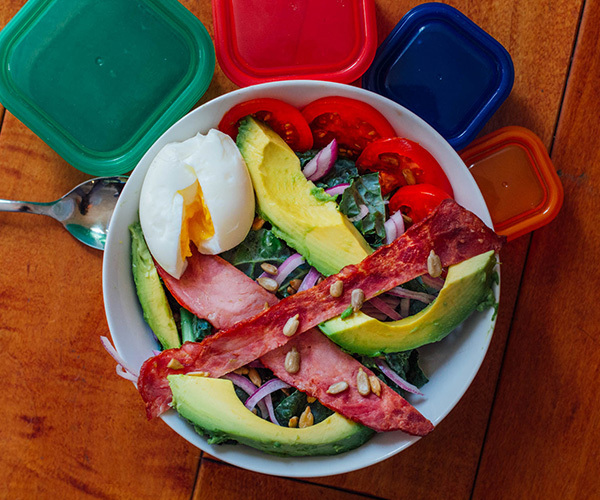 Our Social Media Manager came up with what she calls a “breakfast salad.” She topped kale with all of the fixings of a BLAT, and then we went crazy and added a soft-boiled egg and sunflower seeds. The result has become one of my favorites. I love the added crunchiness of the sunflower seeds and turkey bacon with the tenderness of the soft-boiled egg and tomatoes. Get the recipe. 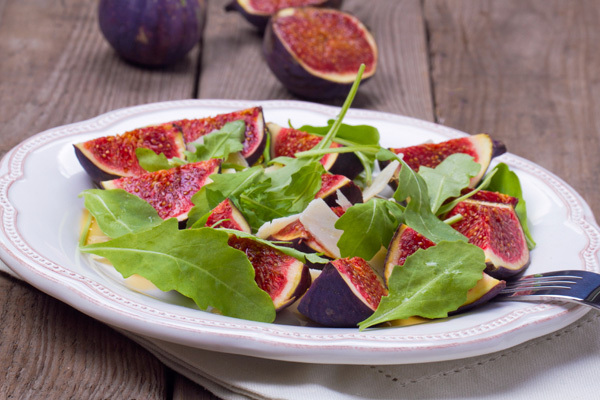 Figs are one of those special summertime treats that should be enjoyed all season long. 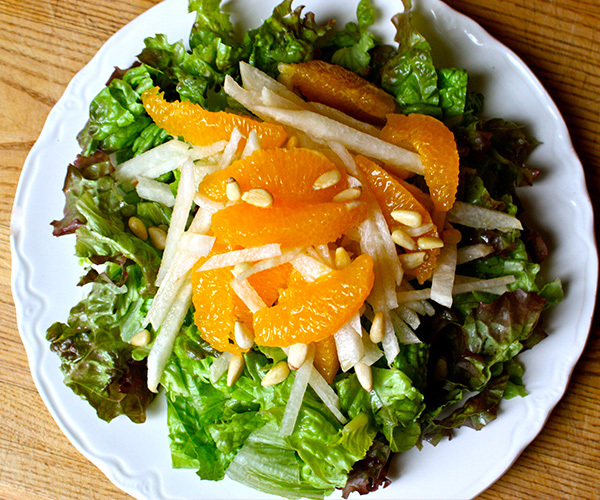 They add dimension and sweetness to this easy salad. Pile this on top of your favorite lean protein and dig in. Get the recipe. 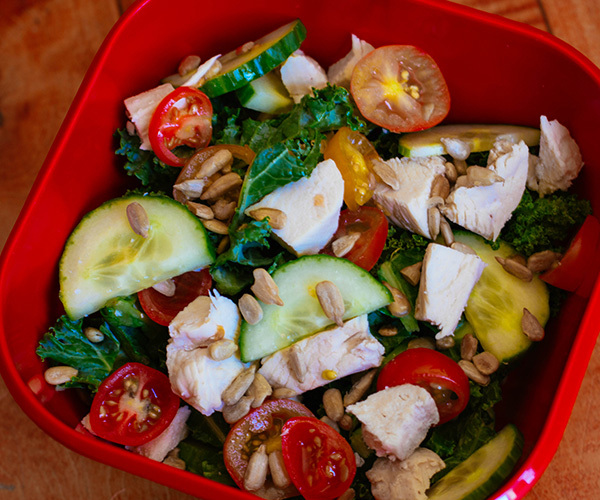 This crunchy kale salad with chicken, tomatoes, and sunflower seeds takes just a few minutes to make, so even people with busy schedules can find time to eat this healthy meal. It keeps well in the fridge for several days, so it’s also great for meal prep! Get the recipe. This recipe is one of my favorite ways to eat the sweet, juicy peaches that are filling the farmers markets right now. Slice them and toss with some peppery arugula, fresh mozzarella, and a drizzling of good balsamic vinegar. Not all balsamic vinegar is created equal, aged balsamic has a sweeter, more complex flavor that makes this salad sing. Get the recipe. 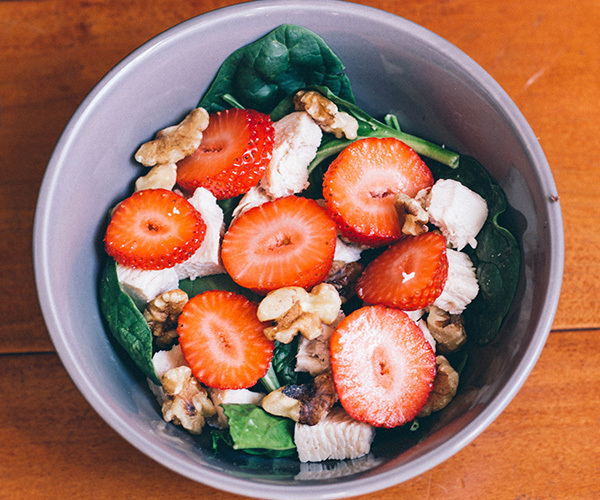 Fresh baby spinach is topped with protein-packed chicken, sweet strawberries, and crunchy walnuts. If you have cooked chicken on hand, and a bag of pre-washed spinach, this could be dinner in under 5 minutes. Get the recipe. 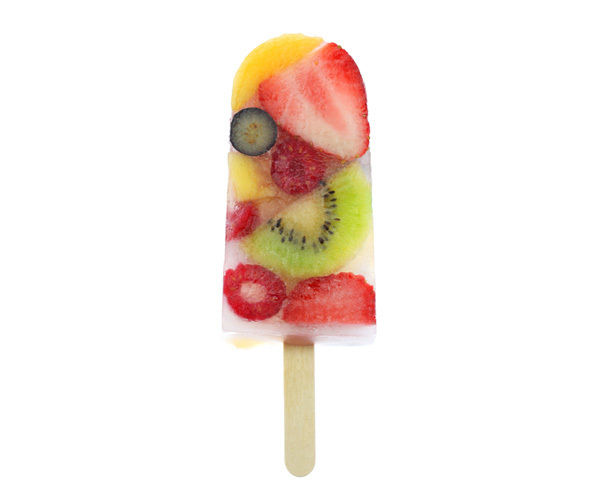 Keep cool in these dog days of summer, and please kids off all ages, with these much healthier–and tastier–popsicles made from fresh fruit and juices. 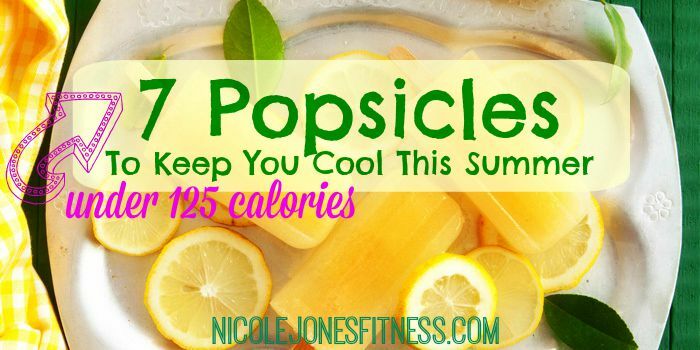 They’re all Beachbody-approved and have less than 125 calories! 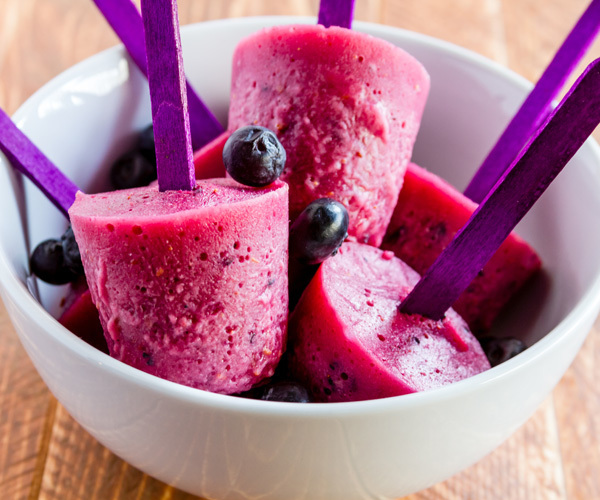 These popsicles are a blast of berry flavor with sweet blueberries, raspberries, and blackberries and a hint of tart cranberry. Get the recipe. 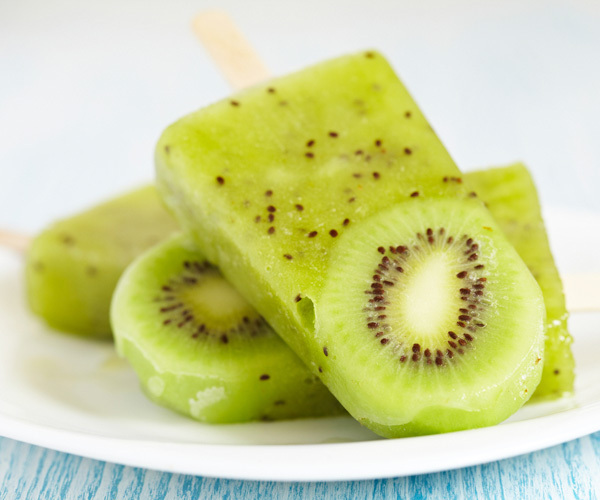 These sweet pineapple and kiwi popsicles have only 65 calories and they look impressive! Get the recipe. 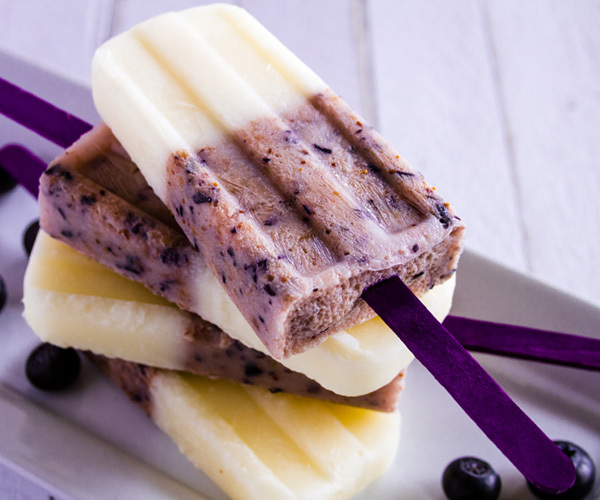 These coconut and blueberry creamsicles are simply delightful. Get the recipe. 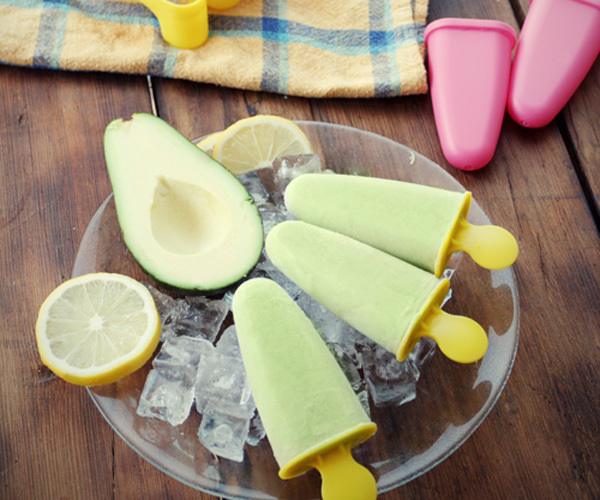 Avocado and banana make these popsicles taste like rich ice cream, but they have only 122 calories. With protein fiber and healthy fat, they’re satisfying snack. Get the recipe. These beautiful popsicles taste as good as they look, and they’re a frozen treat that you can bite into! Get the recipe. 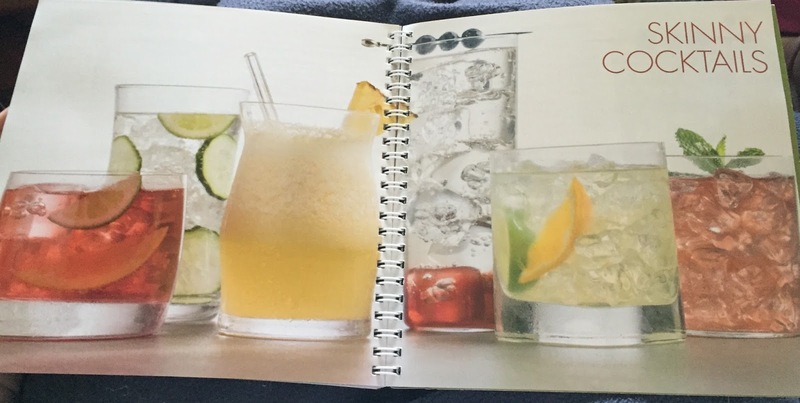 What’s more refreshing than lemonade on a hot summer day? 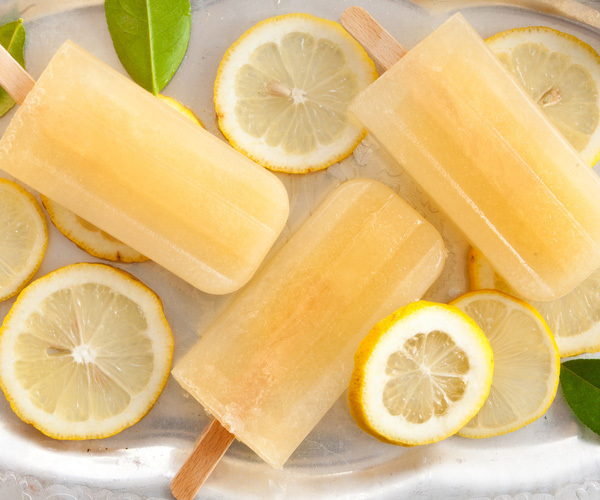 These lemonade popsicles made with fresh lemons and honey. Get the recipe. Nothing says summer like watermelon. 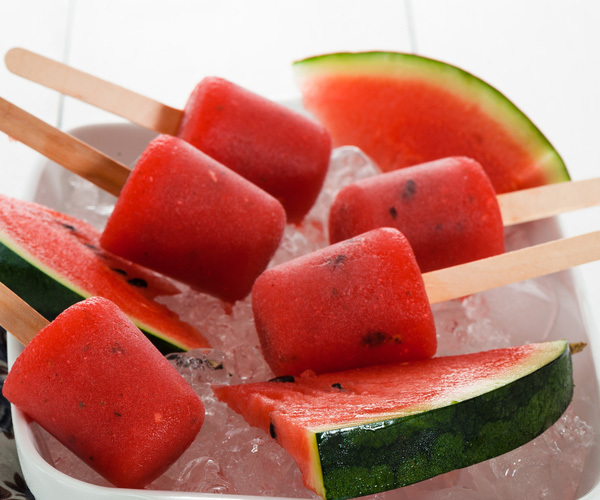 These popsicles are a great way to use leftover melon. They have only 44 calories each! Get the recipe. There are so many of you waiting for the arrival of the 21 Day Day Fix Cookbook and it is officially here! Fixate launched a few days ago. It features 101 new recipes from appetizers, snacks, breakfast, lunch and dinner. You have a ton of variety so that you can continue to follow your 21 Day Fix plan and eat flavorful foods! 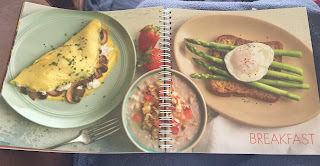 There is nothing worse than trying a new recipe and not knowing how it fits into the plan! Now you have the answers! 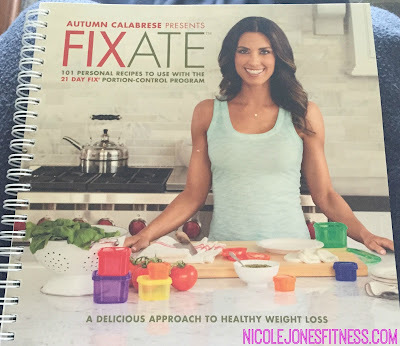 If you are interested in the Fixate cookbook you can get it right here! 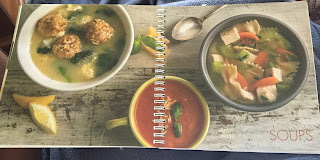 Look below to see what you can find in the book! 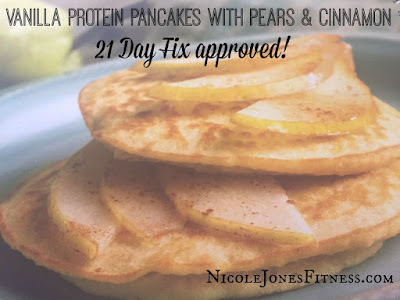 Click here: I want Fixate!